We are in Day Six of the FanstRAvaganza 3 in THE FREEFORM tagteam chain! 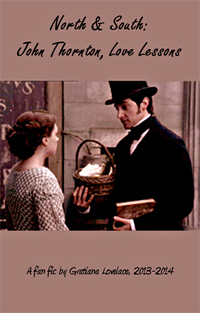 If you missed Day Five, please check out the posts at Armitage Effect (http://thearmitageeffect.wordpress.com/ ), Mr. John Thornton (http://mrjthornton.blogspot.com/ ), and I want to be a Pin-Up (http://iwanttobeapinup.wordpress.com/ ). 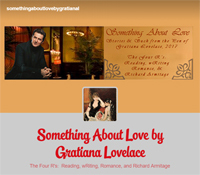 For those of you who have visited my blog “Something About Love (A)” (www.gratianads90.wordpress.com ) before, you know that in addition to my storytelling, essays, and RA trivia games, that I have created a few video slideshows. 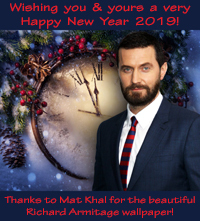 But my very first video slide show that I ever created was my RA 40th Birthday Fan Video titled “Happy 40th Birthday Richard Crispin Armitage” that I finished last August 2011–before I began this blog. And it was a month long intermittent steep learning curve–beginning in July 2011–on how to use the software, especially since I tried to synchronize the storytelling for his major character roles to the music’s lyrics. Ha! 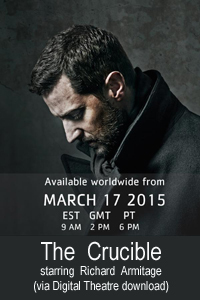 I interspersed photo shoot portraits of Mr. Armitage that appeared concurrently with some of his roles. 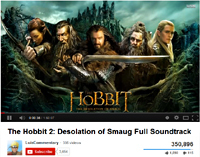 The video is chronological, but by no means exhaustive, as other people’s videos are. 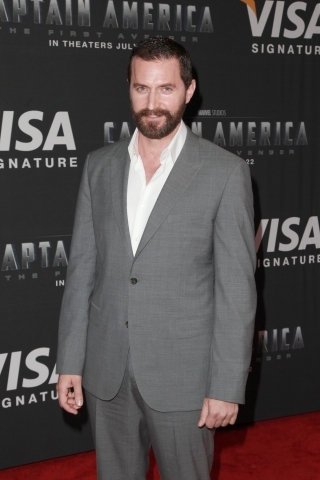 My thanks to RANet (www.RichardArmitageNet.com) for their wonderful Richard Armitage picture and career resources–an example of which is to the right, from Mr. Armitage’s Captain America Premiere held in New York City in July 2011. I have only shared my RA 40th Birthday Fan video with a few RA fan friends in a closed Facebook group page. And I originally had my video password protected. Not because of some of RA’s bare chest shots from his roles or photo shoots that I included in the video–well he posed for them. Ha! 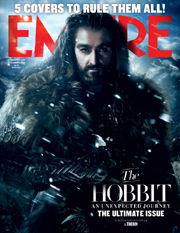 But, I was shy about sharing my very personal admiration for Richard Armitage as the exquisitely talented storyteller that he is. I suppose this video is my “love letter” to him–I mean that sincerely, and as a very happily married lady with an understanding hubby. Ha! I think part of what gave me the courage to make this RA Fan video–and now to share it with you–was and is the kindness and encouragement of my many friends in the RA Fan Community. 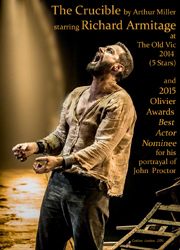 And we are a community of lovely people who admire Richard Armitage’s talent and the gifts of his storytelling that he shares with his audience. This FanstRAvaganza 3 weeklong event is one example of that sense of community. 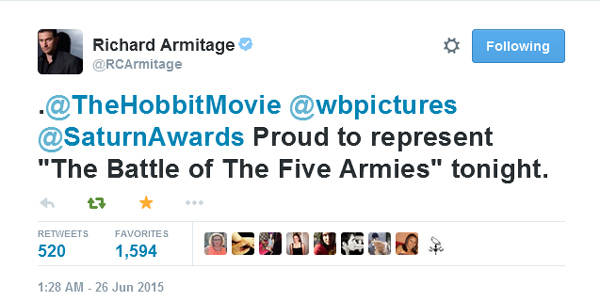 We all wish Mr. Armitage the very best. 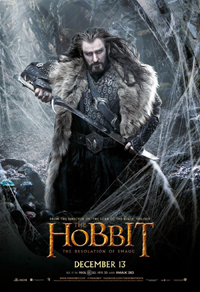 We are thrilled for him with his lead role as Thorin Oakenshield in “The Hobbit” films–and the future artistic opportunities that will come his way because of him being thrust upon the world artistic stage. And, as I closed my private letter to him in the RA 40th Birthday book of wishes from around the world–that Calexora edited with great care and heart–“I wish for you, Richard, every happiness that you wish for yourself.” And to you, dear friends, I wish for you every happiness that you wish for yourselves, too. 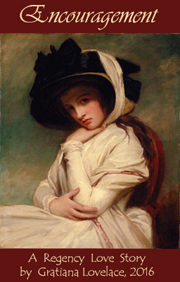 Also in Day Six, please see my F3 partner’s posts at White Rose: Sincere and SimpleThoughts (http://whiterosewritings.blogspot.com ), and C.S. Winchester(http://cswinchester.blogspot.com/ ). 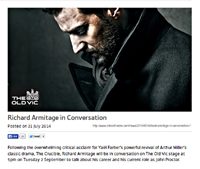 This entry was posted in FanstRAvaganza, Richard Armitage, Video and tagged FanstRAvaganza3, Richard Armitage, Video. Bookmark the permalink. 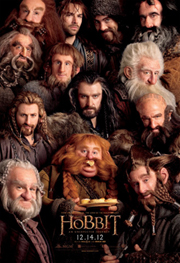 Thanks for your kind note about my RA fan video. It was a labor of love for me. I love this song’s melody and the sentiments. 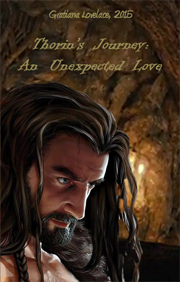 It seems to fit so many of Richard Armitage romantic character portrayals. 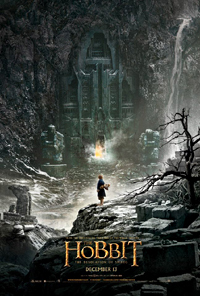 Your video is just as good on my second viewing! I’m so glad you’ve joined in the fray, LOL! Also it’s a good reminder about the Amazon Associate links on RAnet.com. :D Thanks for that! Thanks for your nice note! I hope to get back to vidding again sometime in the future–Summertime for sure, and maybe even moving clips! You are my inspiration for fan videos! 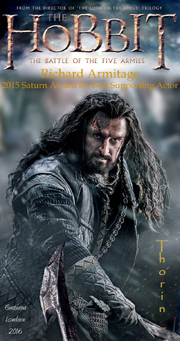 I love the RANet Amazon Associates affiliation–supporting RA’s artistic projects and donating to charity! It’s a win-win situation. 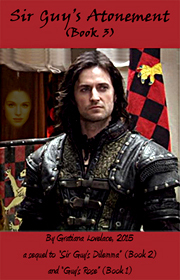 My hubby bought me Spooks 7-9 and Robin Hood for my birthday and Christmas. 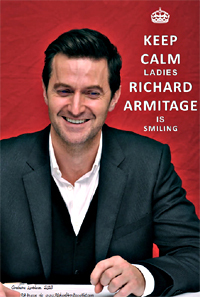 So, the next RA dvd I need to get is Strike Back 1. I should clarify, that I have seen Strike Back 1, but I want to own it, too. Your video had some collateral effects in me, now that the week (amazing days!) is near its end. 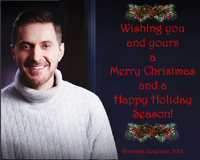 A big smile in my face, joy for this great community, and gratitude to Mr. Armitage for being such a wonderful artist and man, our source of inspiration, friendship, love and eternal admiration. Thanks for your lovely note. 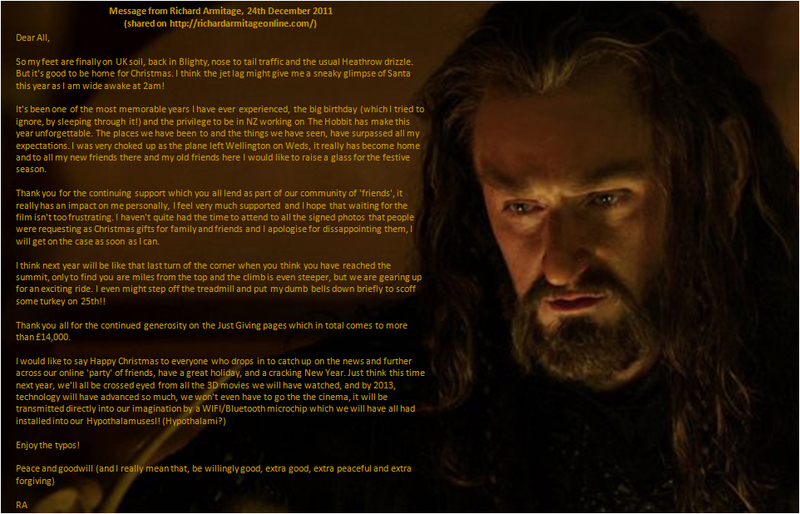 And well said on Richard Armitage’s positive influence on everyone. Thanks for sharing your lovely video. (I thought it was great!!!). 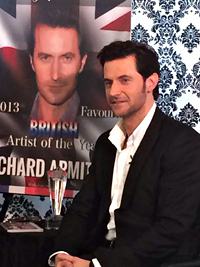 Thanks also for being part of the FanstRA and sharing the celebration of RA’s work. Thanks for your very kind note about my video. I am enjoying F3 so much and can’t believe that it’s almost over–just one day left. But all good things must come to an end. The beauty of F3 is that our sharing and friendships will continue well beyond this one week of interconnected blogging. 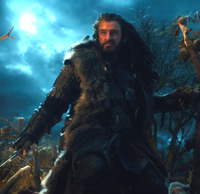 I have often referred to Richard Armitage as the “pied piper of creativity” for inspiring so many of us to write, design, and vid, etc. 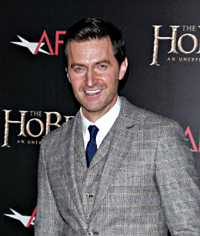 But Mr. Armitage’s gifts of storytelling and example of gentlemanliness and compassion also inspire us in developing our friendships with each other. Thanks for your lovely note about my RA fan video. 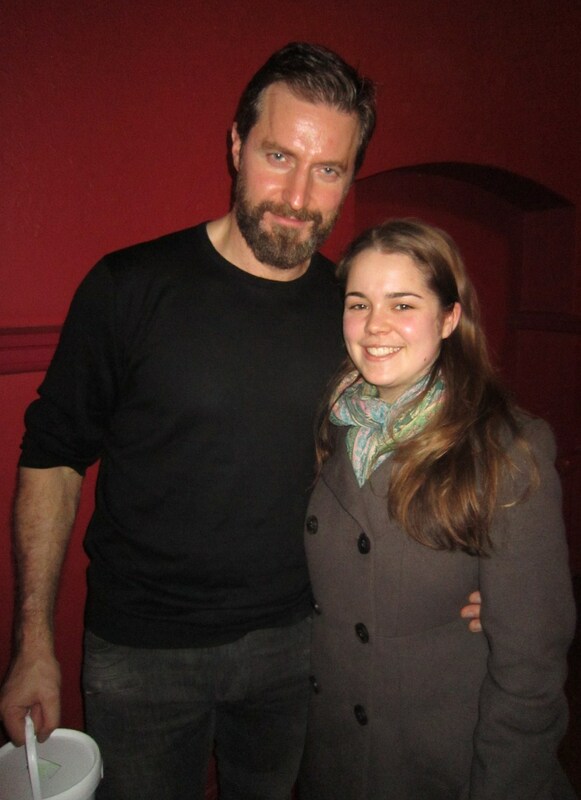 Richard Armitage is a true artist and gentleman. Thanks for your kind note about my video! It is a delightful video! Well done!! Thanks for your lovely note about my video! That was beautiful! Loved going through time and seeing the changes in him and his career, great choice of photos. Love the song too, wonderful choice. Thanks for sharing with us. 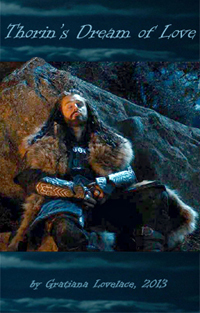 Thanks for your very kind note about my RA fan video! 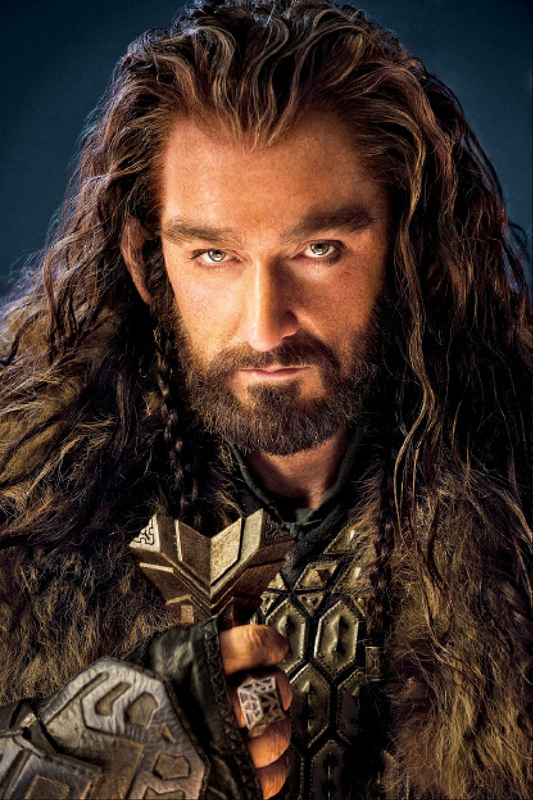 And I loved finding and using the “young” RA portraits, too. He looked so sweetly adorable as a teen and young adult. It just makes you want to squeeze his cheeks. Ha! How beautiful :) Just as good even if he is now 40.5. I’m glad you enjoy the Armitage community, so do i. Thanks for your lovely note about my RA bday video. 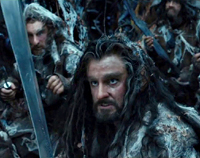 Richard Armitage is great inspiration! 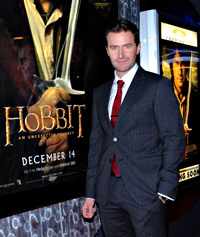 And the Armitage fan community is a delightful benefit of our admiration for him.